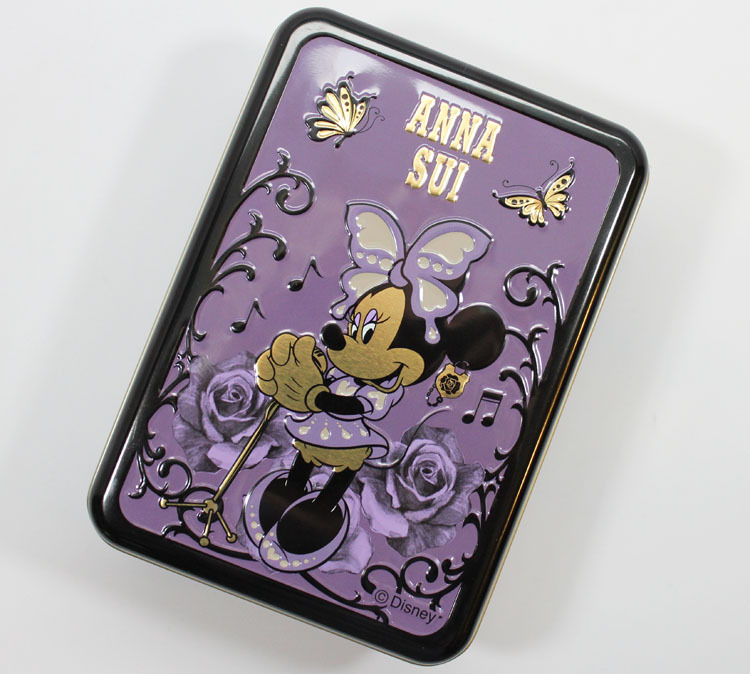 New, limited edition and available right now on Beautylish is the Anna Sui Minnie Mouse Makeup Kit Romantic Serenade. 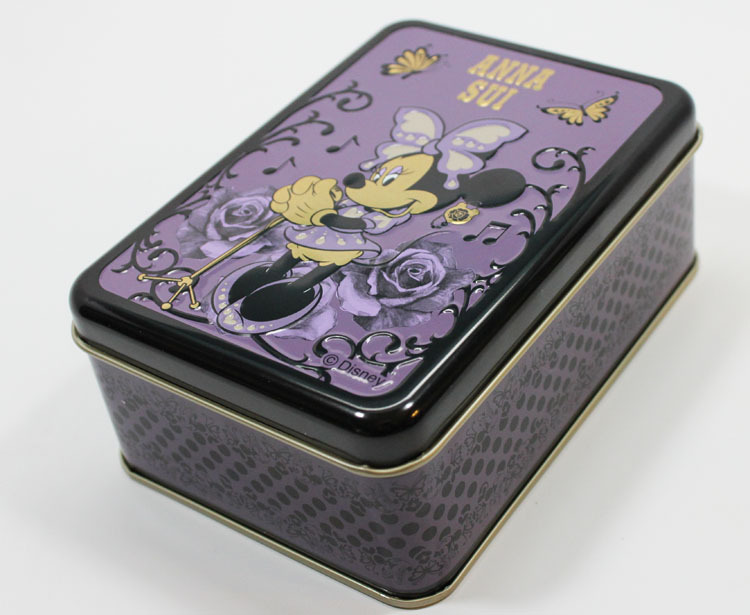 This kit comes in a purple and black decorated tin box and inside you will find a bow-shaped eye shadow palette (with shades Light Pink, Shiny Brown and Sparkling Khaki) and a fuchsia lipstick shaped like Minnie Mouse! There is no way I could use this, it’s way too cute! Light Pink is a pale matte light pink. Shiny Brown is a medium brown/copper with sheen. Sparkling Khaki is a deep khaki green with gold sparkles. 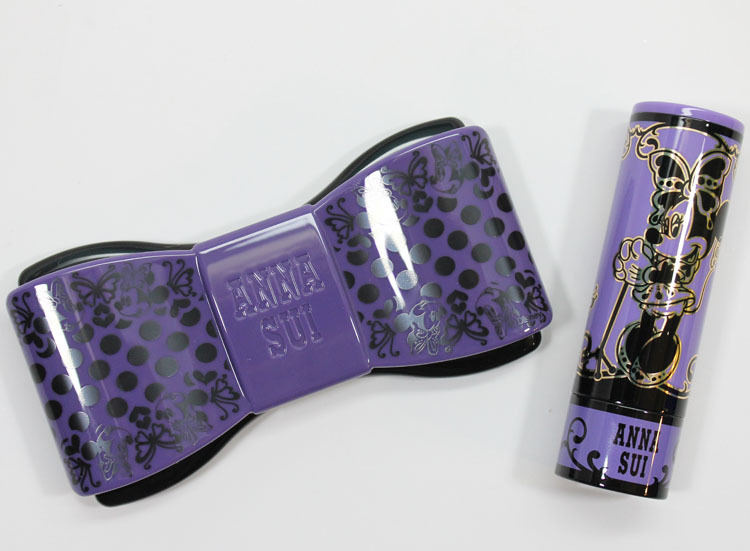 I used the back of the lipstick for this swatch since I didn’t want to ruin the front! 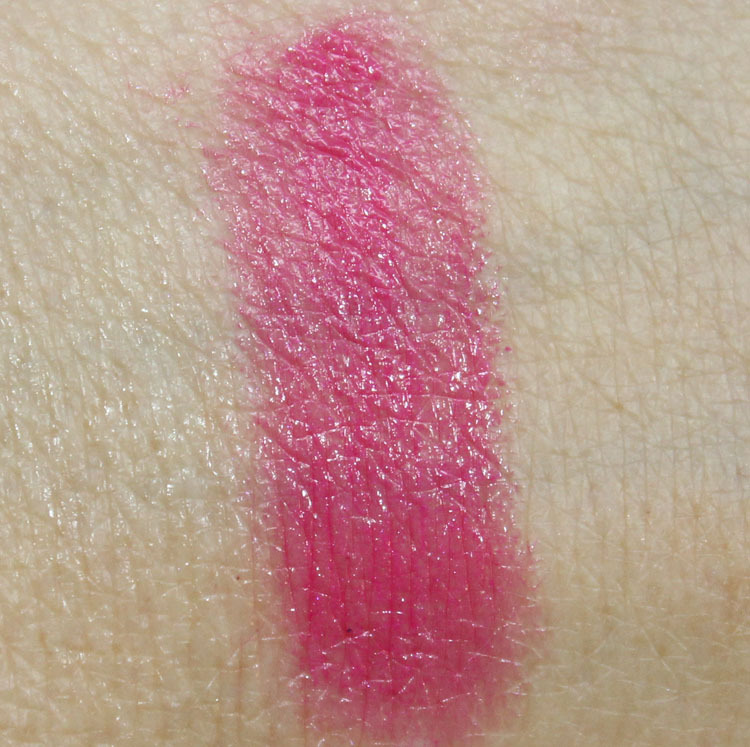 The lipstick is a bright fuchsia which seems a little on the sheer glossy side. 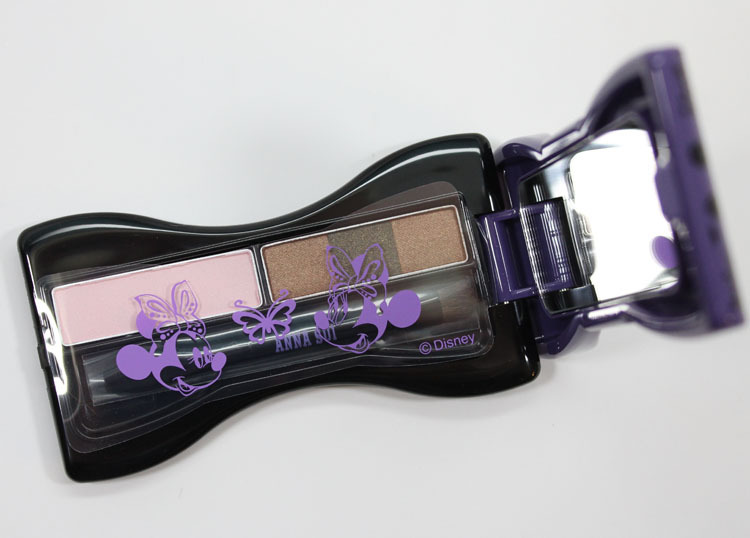 I couldn’t test it out on my lips because I just didn’t want to wreck the adorable design. Overall: Well the design of everything is super cute, there’s no denying that! 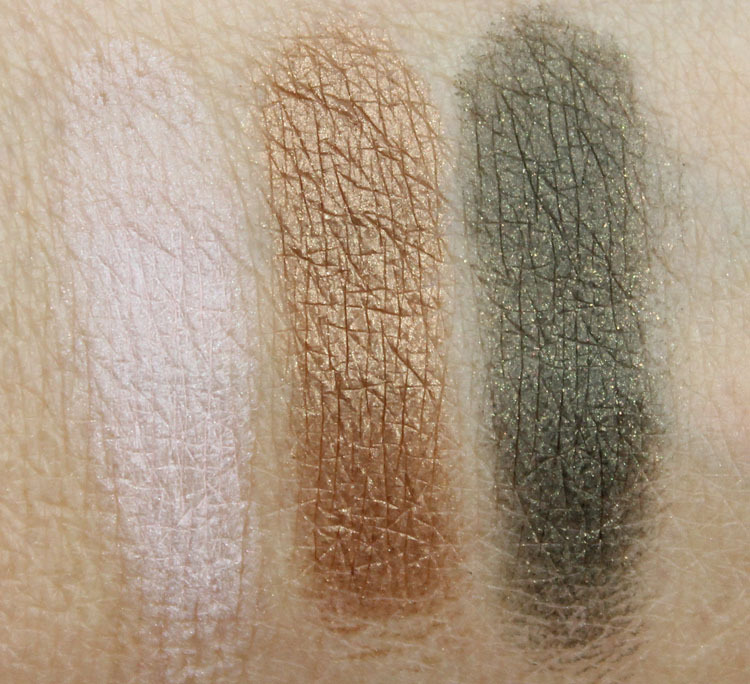 The eye shadow palette has some nice shades but they are SO SMALL it’s really hard to pick them up. 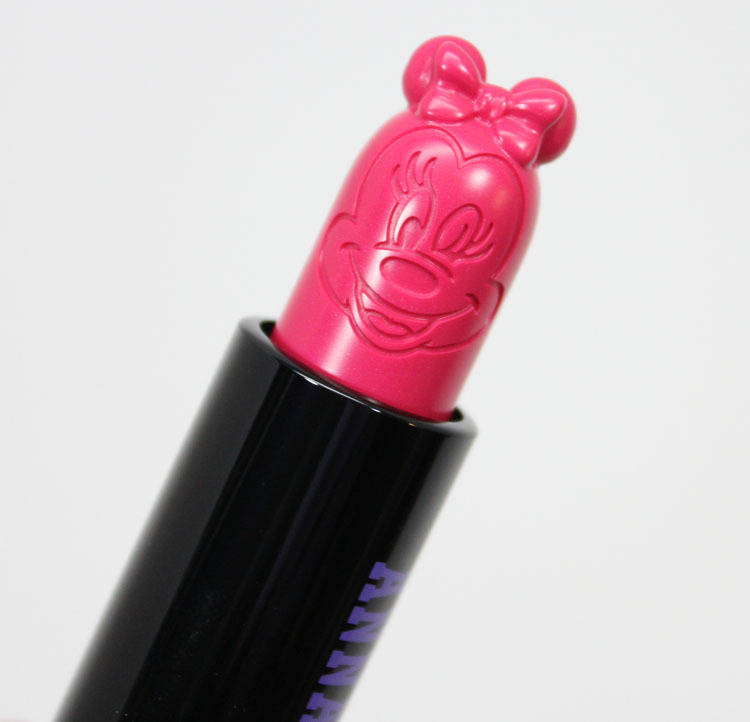 The lipstick is crazy cute and a nice bright pink shade. The problem is I think many people wouldn’t want to ruin it, so it’s kind of one of those things you want to look at but would never actually use. What do we think about this set? Would you use this lipstick or not want to ruin the shape? Too Faced Friends & Family 20% Off Everything!